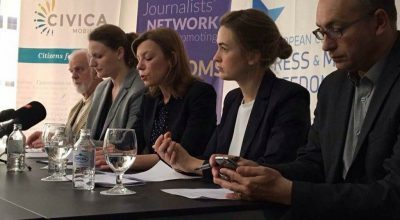 The Association of Journalists of Macedonia has launched the EU-funded project “Journalists’ Network for Media Freedoms in Macedonia”, under the media freedom priority of Instrument for Pre-Accessing Assistance (IPA). The project aims to develop AJM’s network of journalists and raise awareness about ethical reporting, media self-regulation and help improve the national practice in line with the EU principles and the standards of Council of Europe.Creating an enabling environment for free media and to improve the protection of journalism is the main goal of this Project. 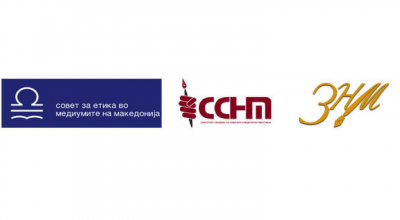 By strengthening the capacities of both the Association of Journalists of Macedonia and the self-regulatory bodies we aim to increase the effectiveness and credibility in assessing situations of unprofessional and unethical journalism. As follow up on previous projects carried out by AJM we will continue to monitor the national court practice, in particular on issues involving journalists or media outlets in cases of libel and defamation. 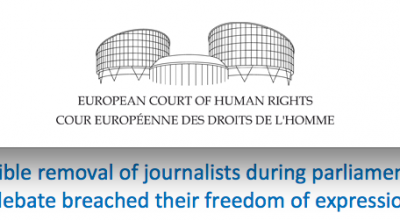 The project foresees awareness raising activities through training of journalists as well as judges and lawyers on freedom of expression obligation in compliance with Article 10 of European Convention of Human Rights. Finally, the project tends to enforce a dialogue with the government, policy makers, judiciary, the media and international actors to help bring the media legislation and practice in line with the European standards.The European Federation of Journalists as our external partner has a crucial role in the implementation of this project, with additional of at least three sub-grantee CSO’s at the local level. The project will run until 2018. A favorable legal, regulatory and policy environment for exercising the fundamental rights of journalists and media organisations through the strengthening of professional association of journalists and self-regulatory bodies. The EFJ GS AJM will attend several meetings in Skopje, in the framework of the EFJ-AJM project. 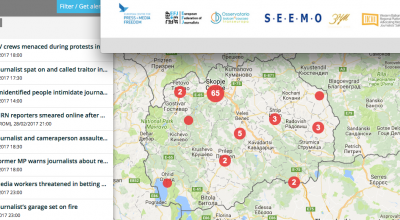 Macedonia: It is high time to stop violence against journalists!